Children can create their own stories and fabulous works of art during family illustration workshops at London Transport Museum from 6 to 22 April 2019. Working with three of the artists featured in the Museum’s current exhibition, the Poster Prize for Illustration 2019: London Stories, young visitors can hear more about some of the stories highlighted in the exhibition and have a go at learning different illustration styles and creating a work of art to take home. 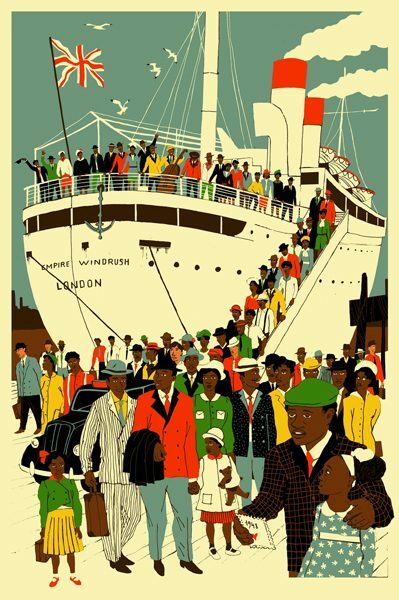 Join the Gold prize winner, Eliza Southwood, to hear about her inspiration for capturing the arrival of HMT Empire Windrush at Tilbury Docks nearly 71 years ago and the story behind the title of her design. 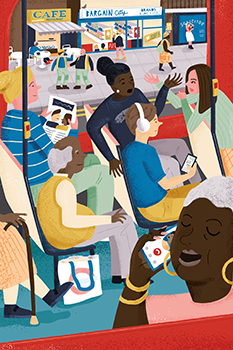 Elly has ridden the number 35 bus many times and watched all sorts of characters, many of whom come to populate her illustrations. Hear about some of the fascinating personalities she has encountered along the way. For families with additional needs, we will be opening the Museum with this activity running from 08.30 – 10.00 on Saturday 13 April for our Early Explorer Morning. Once upon a time there were over 60 Cabmen Cafés around London, but today only 13 are left. Join Alicia to find out all about them. 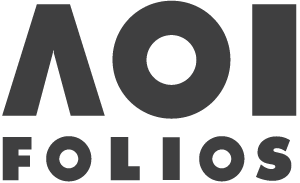 The family illustration workshops are part of London Stories, a new exhibition featuring 100 illustrations that celebrate one of the world’s greatest cities and reveal some of the fascinating tales of London life past and present. 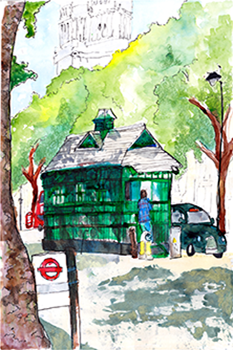 Enjoy illustrations reflecting real and fictional tales and events inspired by, or having taken place in London, and which embrace the quirky, amusing and bizarre as well as the day to day aspects of life in the capital. The exhibition includes a variety of narratives and artistic styles and offers a fun and interactive day out for families, telling visual tales of adventurous rabbits, travelling foxes, a ‘flying’ bus, Mary Poppins on the Victoria Line, and an escaped tiger. As well as creative illustration workshops children can enjoy the All Aboard family play zone where children can play on a mini fleet of vehicles and dress up in uniforms to become drivers, mechanics, cleaners, station announcers and even riverboat captains. The London Stories exhibition is displayed in the Exterion Media Gallery at London Transport Museum, Covent Garden Piazza, London, WC2E 7BB. Kids go free and adult admission is included in the entry ticket to the main Museum galleries (prices for adults start from £16.50 online). Adult tickets allow unlimited daytime admission to the Museum galleries and temporary exhibitions for a whole year from the date of purchase.